Gold is a metal, a commodity that distinguishes itself from other raw materials. It is both a commodity and a currency or a means of exchange at the same time. This is nothing new; the role of gold in the world transcends borders, cultures and time. The history of gold is as rich as the precious metal itself. Gold is precious because of its limited and finite physical nature. Every ounce of gold ever produced in the history of humankind still exists today. Therefore, gold is a constant that outlives each human being but its value, its luster, and its tradition have been passed down for millennia. In modern times, gold has often acted as a hedge against inflation. It is also a resource that investors and traders have turned to during periods of fear and uncertainty. The U.S. dollar is the reserve currency of the world; therefore the benchmark for commodity prices around the world is the greenback. Gold is no exception. There is an inverse historical relationship between the value of the dollar and commodity prices. As such, gold in dollars is sensitive to the value of the dollar against other currencies of the world. Gold is an international means of exchange. Therefore, in other nations, gold serves as a store of value for people in countries that have declining currencies. Gold rallied to highs of over $800 per ounce in 1979/1980 when fears of inflation gripped the United States. During that period the value of the dollar declined. After that inflation scare, gold retreated and for more than two decades it traded below $500 per ounce, reaching lows of $252.50 in 1999. Gold began a huge rally in 2006, which took the price to all-time highs of $1920.70 on the active month COMEX futures contract in mid-2011. A global financial crisis and a weak U.S. dollar contributed to the appreciation of gold. By 2011, gold had become a mainstream investment vehicle. However, following that peak, the price of gold fell and by the end of 2015, the price stood at $1060.20 – a decline of almost 45% in four years. At the same time, other commodity prices fell and 2015 was a year in which many commodity prices declined precipitously. One of the factors pushing gold lower in 2014 and 2015 was a sudden sharp appreciation in the value of the U.S. dollar. While gold fell in dollars, it rallied in currencies such as the Russian ruble, Brazilian real and other foreign exchange instruments that declined against the dollar. This tells us that gold did not fall as fast as the dollar rose over recent years. In fact, although gold declined in 2014 and 2015, other commodity prices declined more – gold held its value on a relative basis even though the dollar price fell. Each year, there is about 2,800 tons of gold production around the world. Supply and demand tend to balance one and other. Industrial and fabricated demand (jewelry) for gold is generally around the same level each year. Therefore, the chief determinate of the path of the price for gold is dictated by hoarding or dishoarding. There are two distinct types of hoarding, official and private sector. Central banks around the world hold gold as part of their foreign currency reserves. In fact, central banks currently hold over 30% of all of the gold produced in the history of the world as part of those reserves. When central banks, or governments, are net sellers of gold it puts pressure on the price of the yellow precious metal. We saw this in 1999 when the Bank of England sold half of the nation’s reserves. Net selling put downward pressure on the price of gold – that is part of the reason that gold traded to almost $250 per ounce that year. Central banks report their activities in the gold market, therefore it is easy to get a handle on whether there is net buying or selling of gold by these institutions. When it comes to the private sector, in years past we could measure whether there was more buying or selling from the public around the world by the level of premiums on gold bars and coins. A signal of increasing demand by the public is an increase in premiums and a signal of selling or dishoarding is decreasing premiums for the physical metal. Additionally, gold futures contracts have been available since the 1970s but the addressable market for futures is lower than other investment vehicles due to the leverage and risk inherent in these instruments. However, over the past decade, the advent of ETF and ETN products like the SDPR Gold ETF (GLD) and others, made gold investments available to the general investing public through traditional equity-based brokerage accounts. Therefore, it is easier to monitor supply and demand from the general public these days than it has in the past. In 2015, the price of gold in dollars moved 10.46% lower on the year. While gold declined in value, many other commodities fared much worse. The prices of oil, copper, silver, and platinum depreciated more than gold. While gold moved lower in 2015, it outperformed most other commodities, even within the precious metal sector. The air of uncertainty in markets in 2015 was supportive for gold on a relative basis. In early 2016, that uncertainty reached a new high in January and February. While the price of crude oil and other raw materials entered into the fifth year of bear market trading conditions making new lows, something very interesting happened to the price of gold. It came out of the gate in 2016 and moved higher. In fact, as of March 11, 2016, gold has yet to revisit the closing price on December 31, 2015, at $1060.20. On March 11, 2016, the price of gold stood at around $1255 per ounce. This is an increase of $194.80 per ounce or 18.4% on the young year. Gold traded to highs of $1287.80 per ounce on March 11. Over the first ten weeks of 2016, gold not only erased all of the previous year’s losses, it has broken through some important areas of resistance on long-term charts. Premiums on gold coins and bars have increased and volumes on futures and ETF/ETN products have also been increasing signaling more demand from the public sector. Central banks were net buyers of over 700 tons of gold in the period between February 2015 and February 2016 signaling an increase in official sector demand for the yellow metal. All signs of gold appear to be positive in 2016 given the price action and fundamental signals early in the year. The global economic environment has been supportive of gold which has resulted in an increase in both official and private sector hoarding. Weak global economic activity in Europe, China and other areas of the world have caused central banks to keep interest rates low which has stoked fears of inflation as an eventual reaction to the period of engineered interest rate policy. At the same time, violence and war in the Middle East, the resulting growing humanitarian refugee crisis in Europe and a weak oil price pressuring producing economies around the world have increased fear and uncertainty. In the U.S., one of the most contentious presidential elections in decades means that political change could have economic ramifications. The bottom line is that there is a tremendous amount of uncertainty around the world these days when it comes to the economic and political landscape. This has translated into more demand for gold, the oldest currency or means of exchange in the world. Uncertainty breeds fear and this creates the perfect environment for gold as this asset has a proven record of maintaining value over time. After four years of a bear market in action in gold, 2016 has started off as a year where the yellow metal is reasserting itself as a mainstream investment asset. Even if other commodity prices fall and even if the U.S. dollar appreciates, the current political and economic environment around the globe seems to be supportive of the precious metal. Gold has appreciated in almost every currency in the world over recent months. The resurgence of gold could be an ominous sign for the value of other assets in the future. The technical action in the gold market now tells us that the path of least resistance could be higher. Fear and uncertainty are contributing to gold’s resurgence and a continuation of these forces could propel the yellow metal to more new highs in the weeks and months ahead. What's the Real Relationship Between Gold and the US Dollar? 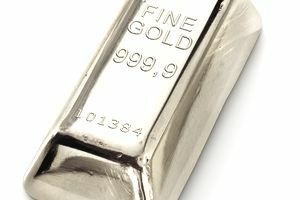 Platinum versus Gold: Both precious metals but which is more precious?